After a fortnight waiting I’ve finally bottled my Citra Smash IPA. I’m really excited about this beer as its the first beer that I’ve brewed from scratch using my own recipe. 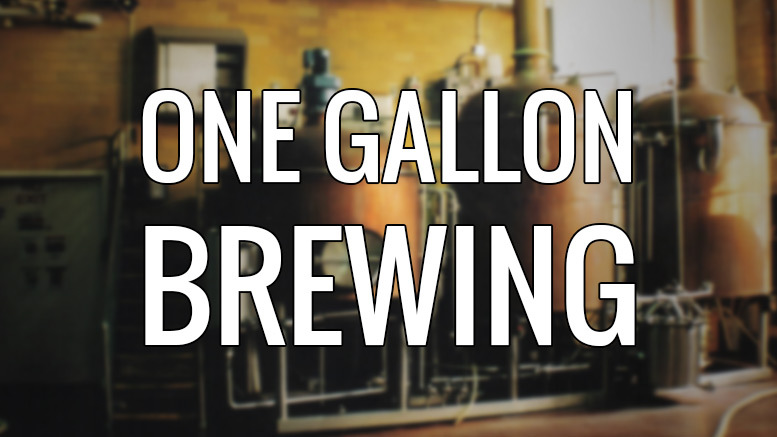 For more information on the recipe or the brewing process check out pt1 of this mini-series. After the yeast was pitched the fermentation process kicked in nice and quickly with the beer bubbling away furiously after the first few days. This clearly shows that a decent fresh yeast (in my case Mangrove Jacks M42 Yeast) makes all the difference (part of the reason for the failure of my last beer was probably substandard or out-of-date yeast). In total I left the beer fermenting for two whole weeks as I was in Boston on holiday. As the yeast was quite vigorous I would have probably bottled it after 7 to 10 days but as I wasn’t at home this wasn’t possible. 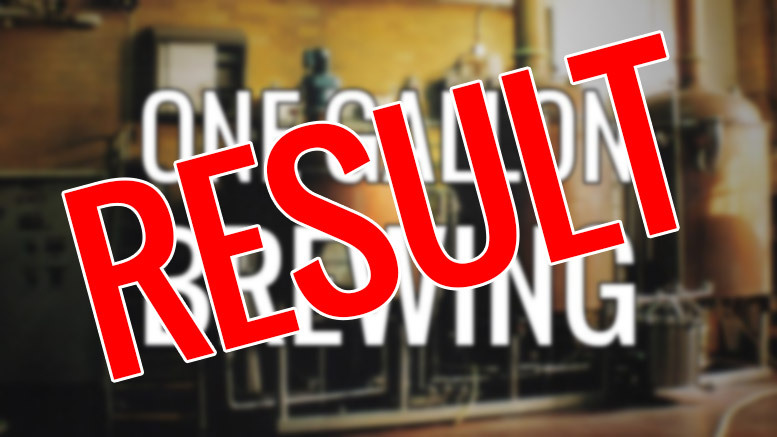 The final gravity of the finished beer was 1015 which was only two points away from the 1013 recipe target. Plumbing all the numbers through the Brewers Friend ABV Calculator I end up with a healthy 7.22% beer (ouch) from an OG of 1070 and an FG of 1015. I couldn’t help myself and ended up drinking the sample that I pulled for my hydrometer reading – here’s my first thoughts on the beer. The beer is very, very pale – almost the colour of a commercial lager such as Budweiser. I know this is down to the Maris Otter malt that I’d used but i’d expected it to be a tad darker in colour. The small sample that I tried smelt and tasted fine – nothing wonderful but certainly drinkable. This was a big thing for me given the abject failure of my last brew. I wouldn’t have said that it was spectacularly bitter but the Citra did give off a pleasent floral smell. The beer did taste a little thin though. This could be down to the small sample that I tried but I did think that it should have a bit more body to the beer. As before, this is a Smash beer and Maris Otter might just be like that when brewed. The bottling process was very easy indeed the old kit setup that I use contained a decent bottling wand. I’m now using some recycled Aldi Oktoberfest beer bottles as they are 500ml swing tops which cuts down on washing up. The bottles were simply cleaned and then rinsed in StarSan solution. In total I managed to fill 5 500ml and 4 330ml bottles with my Citra Smash IPA. This means I managed to get a little over 4 liters from the batch which I think is decent going for a small BIAB system like mine. The first couple of bottles did come out a little yeasty but i’m sure that once settled in the bottle they will taste ok – the remainder were reasonably clear. I do have a bag of Coopers Carbonation Drops licking around but I’ve heard mixed reviews so I ended up opting to use the last 25g of brewers sugar leftover from an old kit for carbonation. This was simply dissolved in warm water and gently stirred into the beer before bottling. From my experience the Brew In A Bag (BIAB) tends to produce a very cloudy wort. This is not a problem really as it does settle in the fermentation process but this leads to to a bit more wastage than i’d like at the bottling stage. This is probably down to the fact that you cant vorlauf the beer during the mash so lots of proteins and fibres make their way into the boil. I’m not sure how to resolve this as it appears to be an issue with the BIAB process but i’ll do some research and see what I can do. I find that cooling the wort before pitching the yeast to be a bit of a pain in the backside. At the moment i’m using a couple of bags of ice each time to try and cool the pot but this added extra expense to the brew. I did use my ghetto heat exchanger that did seem to speed the process up but its still taking 25 to 30 mins to bring the brew down to a pitch-able temperature. 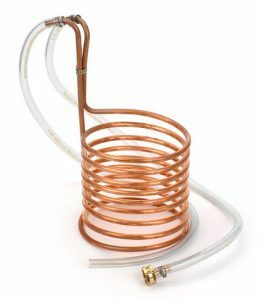 I think i’m going to need to invest in some type of wort chiller sooner rather than later as this will resolve the issue once and for all. 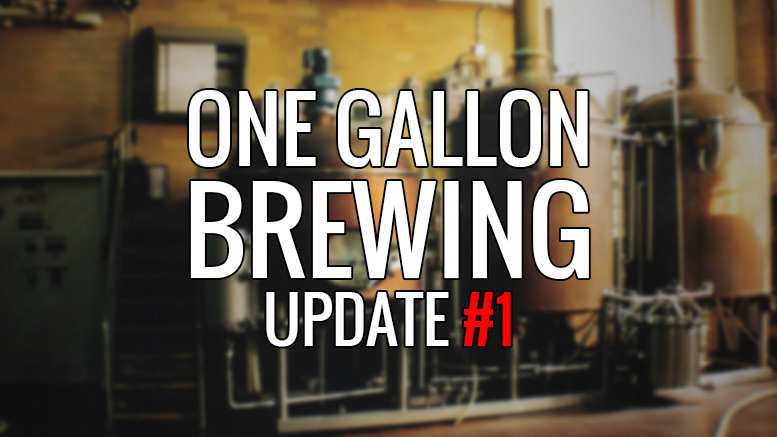 Be the first to comment on "One Gallon Brewing – Citra Smash IPA Update"